We did mention to our listeners on last weekends show (Part One), that we might have a surprise in store for them as we continue our (Two Part) 6 year anniversary celebrations. As you already know, we have Chicago’s finest Pugs Atomz & friends Live in the studio on Saturday afternoon as we end the party on a massive high, but as you know on the good ship Morpheus we always like to give you that little bit extra and this time we have really pulled out all the stops! The Morpheus Soul Show goes LIVE not once but twice this week and why? We are extremely happy and honoured to welcome America’s Number One Independent Soul Artist, Two Times Grammy Nominated and Über talented Mr Eric Roberson LIVE to the Playvybz studio! Born and raised into a musical family in Rahway, New Jersey. Singer/Songwriter and producer Eric landed a recording contract with Warner Brothers where he recorded the 1994 R&B hit “The Moon” and since then has never looked back, producing an incredible back catalogue of music and just recently released his eighth album here in the UK, the fantastic ‘Mister Nice Guy’ which features contributions from Jean Baylor, Chubb Rock, Phonte and Hezekiah too name a few! Eric has also had the pleasure of working with the cream of the crop including DJ Jazzy Jeff, Jill Scott, Kev Brown, Musiq Soulchild, Vivian Green, Marsha Ambrosius, Dwele and Morpheus Soul favourite W. Ellington Felton. We will be talking music & life with our very special guest ‘Eric Roberson‘ as well as a LIVE Jam alongside The Temporary Resident’s very own vibes-master Lyrickal. This is gonna be off the chain! 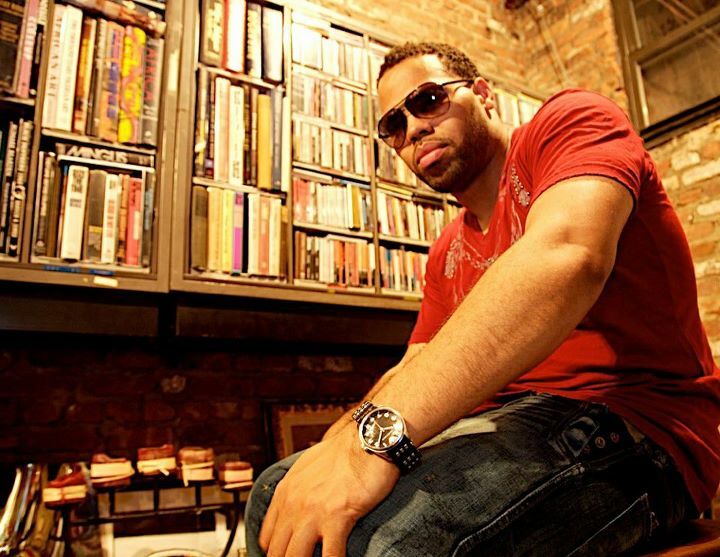 The Morpheus Soul Show with Very Special Guest…Eric Roberson…Don’t Miss It! A big shout and thank-you to soulBEAUTIFUL inc for make this happen, you are truly blessed. Previous Julie Dexter LIVE on The Morpheus Soul Show…Saturday October 22nd 5-7pm (GMT)…DON’T MISS IT!! !